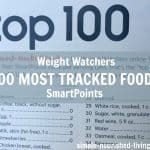 As a longtime lifetime Weight Watcher who has attended hundreds of meetings through the decades, I believe that the success of Weight Watchers is in its structure as a support system. 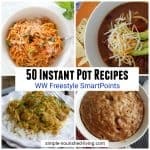 The Weight Watchers program has changed dozens of times over the past 50+ years. 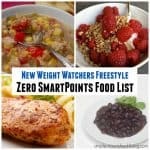 WW Freestyle, the current program, is virtually unrecognizable when compared to the original 1960s plan, or Quick Success from the late 1980s / early 1990s, in terms of what you eat. What has remained constant is the support provided in weekly meetings and more recently, online, through one-on-one coaching and the WW Connect App. It is this support and sense of community that is invaluable when trying to lose weight and then keep it off. I’m fond of saying that, “My weekly Weight Watchers meeting provides 30 minutes of sanity in an insane food world.” It keeps me balanced, grounded and motivated. Unfortunately, it’s not always possible to get to your weekly Weight Watchers meeting. Life gets in the way. For example, most summers I’m in rural northern Wisconsin more than 30 miles away from the closest meeting. 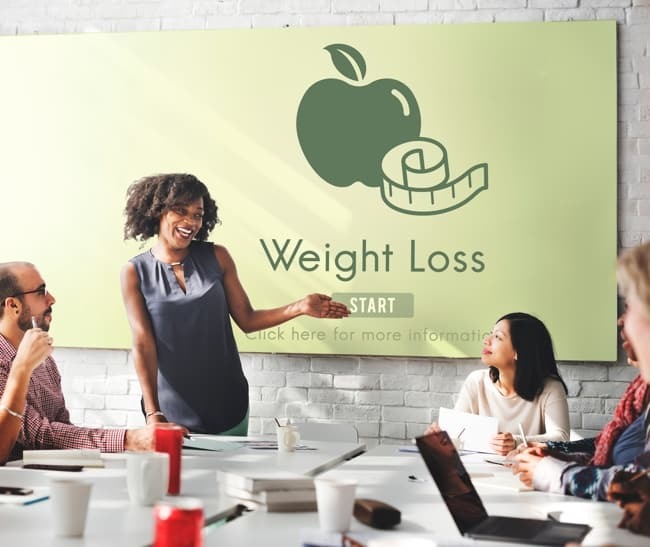 How does a Weight Watcher stay motivated beyond meetings? 1. Reading Weight Watchers Magazine (affiliate link). I have a subscription to both the American and British editions of Weight Watchers magazine (affiliate link). Though I find them both helpful and inspiring, for some unexplainable reason I prefer the British one. 2. Reading Weight Loss Success Stories. I’m a sucker for weight loss success stories. I love reading about the various paths to success pursued by others. 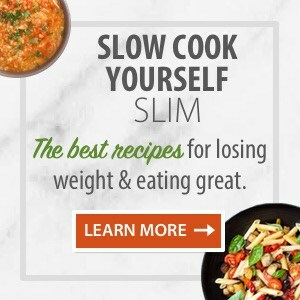 If you find them helpful, be sure to check out this great collection of weight loss success stories we share here on Simple Nourished Living. 3. Reading Motivational and Inspirational Quotes. I’m a big believer in the power of positive thinking and love collecting inspirational and motivational quotes and sayings. Happy, positive thoughts; Happy, positive life! 4. Reading Nutrition, Fitness, Weight Loss Books. Knowledge is power. Some of the best books I’ve read include Mindless Eating, The Portion Teller. French Kids Eat Everything. 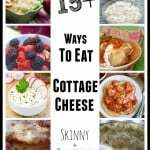 Here’s a post I wrote about the 7 Best Healthy Weight Loss Books I’ve ever read. 5. 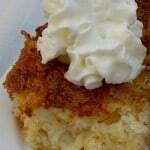 Trying New Healthy Foods & Recipes. Boredom can be dangerous where weight management is concerned. I’m always experimenting in the kitchen with new tools, ingredients and recipes to share here on Simple Nourished Living and in my ever-growing collection of eCookbooks. 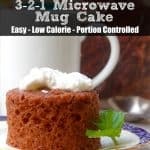 183 Days of Weight Watchers Friendly Slow Cooking – This was supposed to be a year-long project but I gave myself permission to stop at the half-way mark. JuiceFest 2014 – A month-long experiment with juicing. Intermittent Fasting and Skipping Breakfast – As someone who was raised to believe that beginning the day with breakfast was non-negotiable, this felt both reckless and defiant for a “good girl” like me. 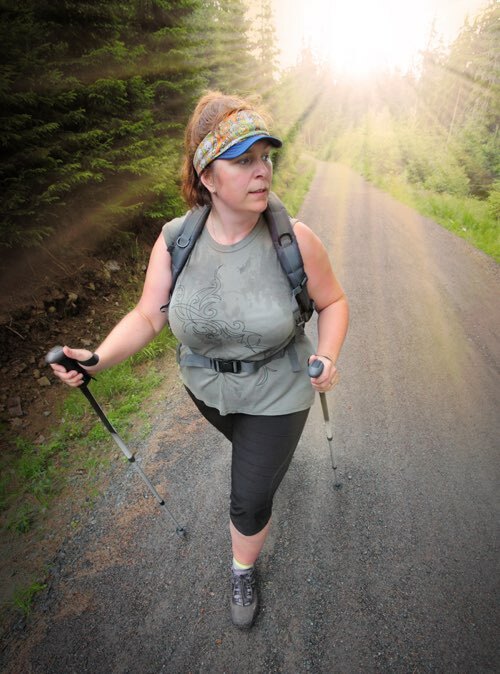 Are you ready to firmly plant yourself on the path to lasting weight loss success? This 28-Day Smart Start Weight Loss eCourse and eBook is your answer. Over four weeks, you’ll begin establishing habits and routines that you can stick with forever. You’ll lay the groundwork to slowly, steadily and gently create the happy, healthy, balanced life you crave! 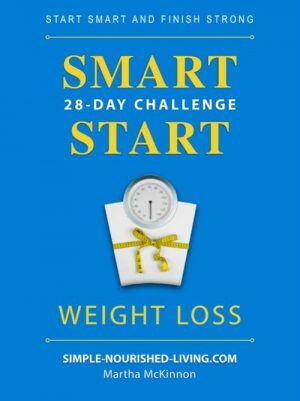 “Hi Martha – I purchased your 28-Day Smart Start Challenge and I love it! !” I don’t know how to thank you.~Debra S. “Wonderful!!! Thank you!!! Your challenge has helped me recommit to WW program and I am beginning to see weight loss.” ~ Ellen M.
“Martha – I just love all of your advice.I am about a week into your 28-Day Smart Start Challenge and learning a lot about the importance of small changes. Thank you for making a difference in my life!” ~ Kerry M.